Makeup Basics topic resumes today. And we are going into the topic of foundation. Foundation is the hardest and the most tedious product to purchase. It will be the most annoying thing if you get the wrong foundation because it is too costly for trial-and-error, the wrong formula might make your face break out, and it can even ruin your entire makeup. I understand that different people have different base tone. If you really need my help, do take a photo of your face, one, under the sun light and another one, in the shade. Tag me on instagram @queenjerine with the hashtag #makeupbasics and I will comment on your photo to let you know which base tone you have. Or you can check out the tones below to see which category you belong to. If you are really not sure how to look for your right color. What I will advise you is to go to a makeup store with makeup artist in it. Yes, I know in the previous posts I did mention that you should start with drugstore brands. But if you really have no clue, go to MAC, Inglot (they're not that friendly though), Bobbi Brown. Shu Uemura, Benefit or any other brand that has actual store by itself. When choosing the right tone, make sure it blends well with the actual tone of your skin. You can opt for one shade darker if it is not much of difference. This will allow the foundation to cover all the dark spots or uneven tones that you have on your face. Never go for a tone lighter assuming that it will make you look fairer. It will just make your face look white-washed, like a failed geisha wannabe. That's all for today. 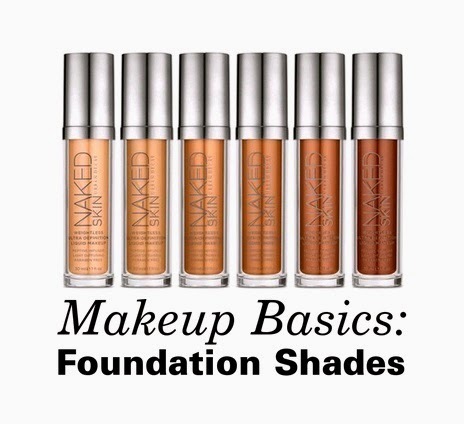 The next Makeup Basics topic will still be on foundation. We will explore the different formulation of foundation to see what type of foundation suit you most. interesting tips... mmm i think there is much more to consider when buying foundation likeits finishing,coverage and also the formula how creamy it is, how powdery the finishing is or how greasy or oily it is... like u say once u buy wrong thats is liow! @Cindy: Yeah... I wasted a lot on wrong foundation. Don't want this to happen to you all. @Alice: Thank you for reading. I will try to update this topic as much as I can.